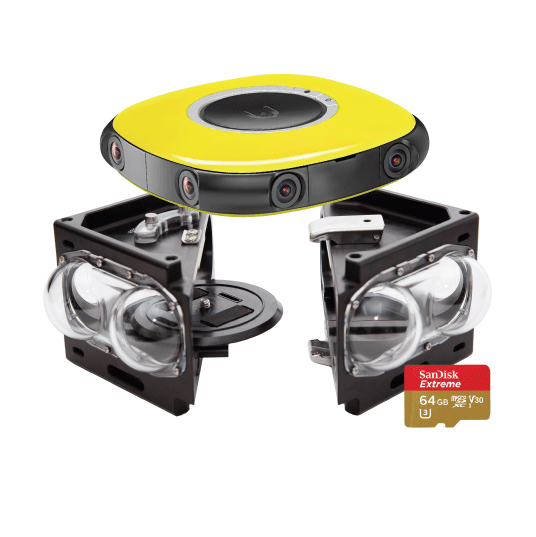 Capture a sense of real-life experience with market leading optics featuring 8 Full HD custom lenses arranged in pairs to capture true stereoscopic 3D 360° footage, combined with enhanced audio capture with spatial audio output. 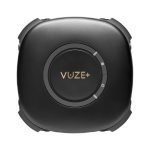 The accompanying Vuze Studio software brings highest quality VR creation to every hand, everywhere. 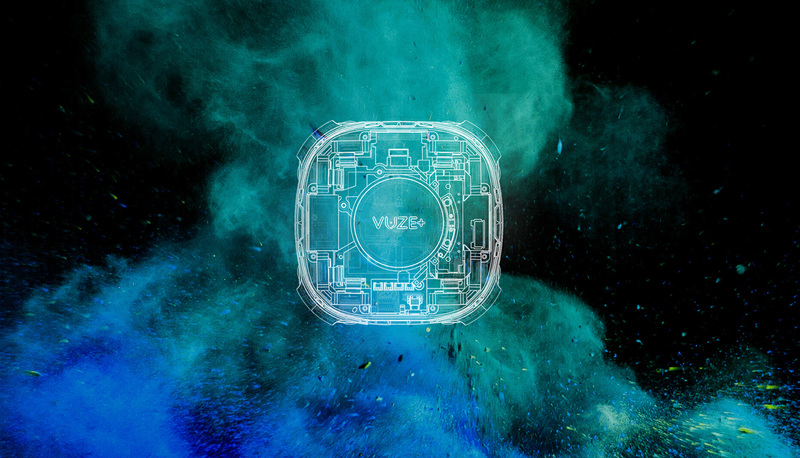 Vuze+ is even more durable, yet just as compact and lightweight as the award-winning Vuze. Create immersive experience in all conditions - from heavy rain to water sports with higher durability and water resistance. 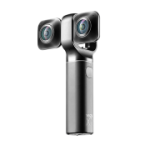 Capture videos and photos using 8 Full HD cameras and 4 mics with an easy-to-use interface. Create cool, immersive, 3D 360 virtual reality content with automatic or manual stitching and refinements with Vuze VR Studio. 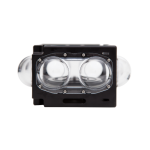 Enjoy 4K resolution spherical videos in stereoscopic 3D. 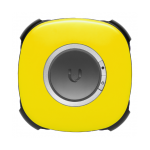 Take your Vuze+ VR camera anywhere, anytime! Just 12x12x3 cm and 460 grams. Capture, create and share in a click & a snap. Supplied Studio software automates VR production, and Humaneyes Zone makes it super easy to share your footage. Black color with semi matte and matte finish.